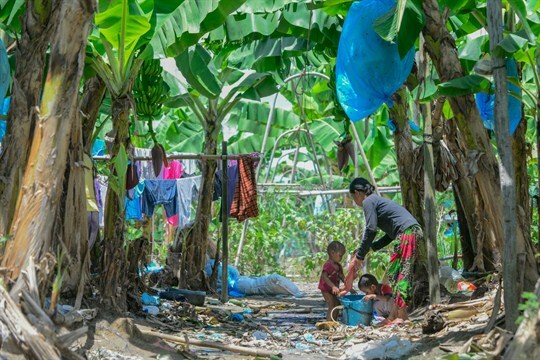 A family bathes in one of the irrigation ditches at a hideout in a banana plantation on the island of Mindanao, Philippines (Lindsay Fendt). In this week’s Trend Lines podcast, WPR’s editor-in-chief, Judah Grunstein, and managing editor, Frederick Deknatel, discuss the implications of Jamal Khashoggi’s murder for Saudi Arabia’s international partnerships and the Middle East. For the Report, Lindsay Fendt talks with WPR’s senior editor, Robbie Corey-Boulet, about the Philippines’ other campaign of extrajudicial killings, this one targeting anti-mining activists in Mindanao’s Compostela Valley. Lindsay’s two-part series of in-depth articles is the second to be funded by WPR’s International Reporting Fellowship.